Apple and Google made major music announcements this week. Apple finally rolled out iTunes Match and Google made Google Music available to everyone and opened up a Music Store. Amazon started shipping the Kindle Fire. iDownloadBlog.com created this iTunes Match Ultimate Walkthrough. Amazon shipped the Kindle Fire earlier this week. Kevin Tofel from GigaOm has a good write-up on the mixed reviews for this product. It took a little less than a year to go from 1 billion to 2 billion songs sold on iTunes. It took a little over six months to go from 2 billion to 3 billion songs sold. Will we see 4 billion songs sold by the end of the year? Apple recently announced 1 billion songs purchased on iTunes. 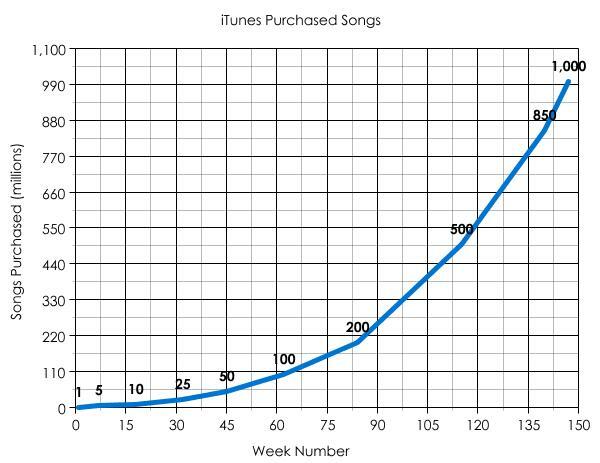 I dug around the Apple press releases and tracked down some of the major iTunes milestones over the last few years. 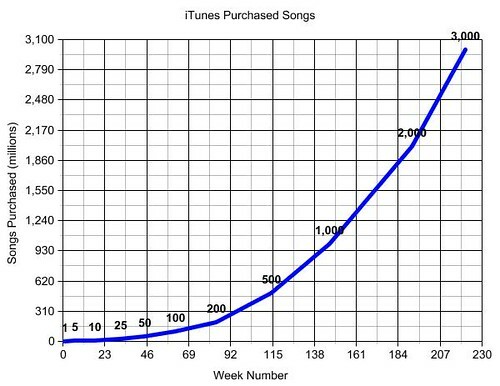 It’s amazing that there have been 500 million songs purchased since July 2005. That’s 500 million songs purchased in 7 months for an average of 71 million songs purchased per month!